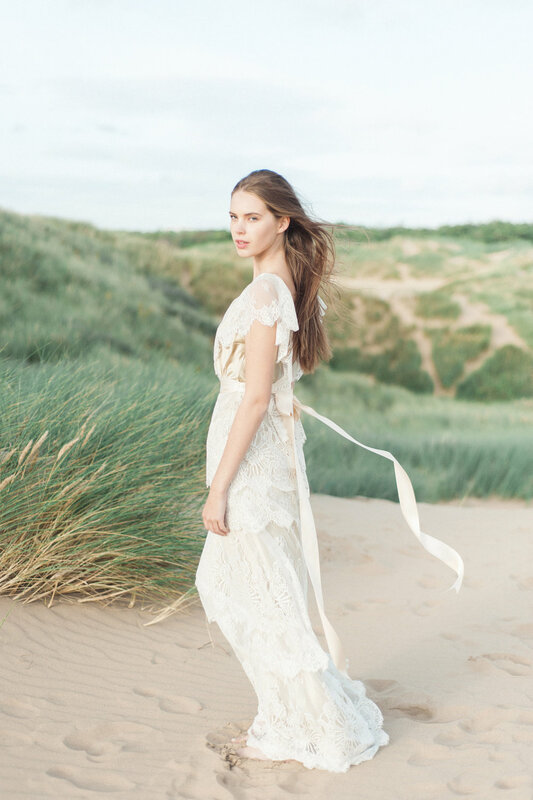 Emma’s vision for the shoot was of beauty and simplicity. 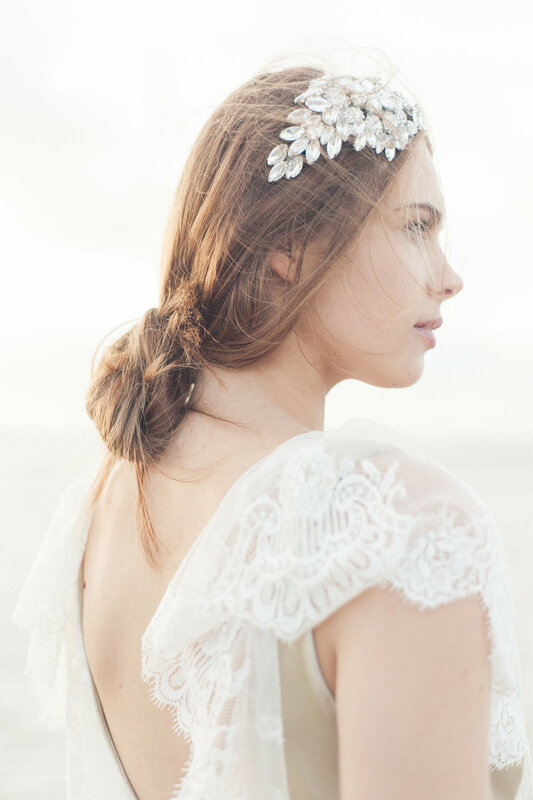 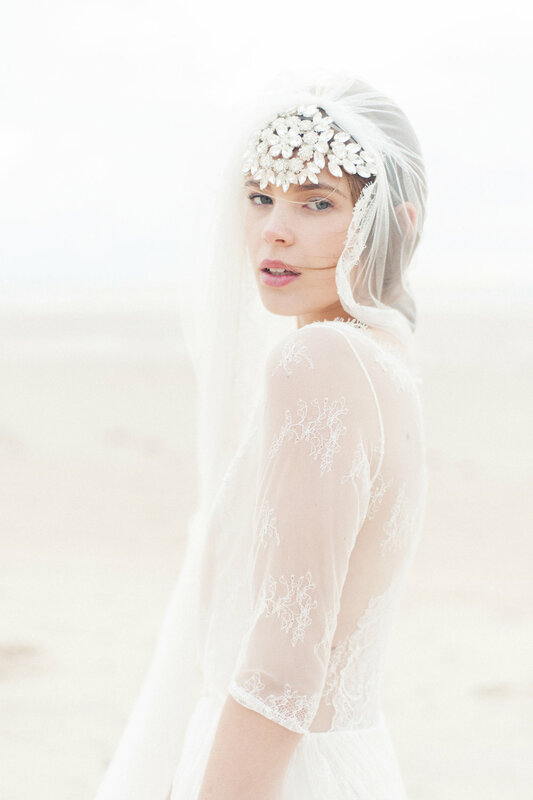 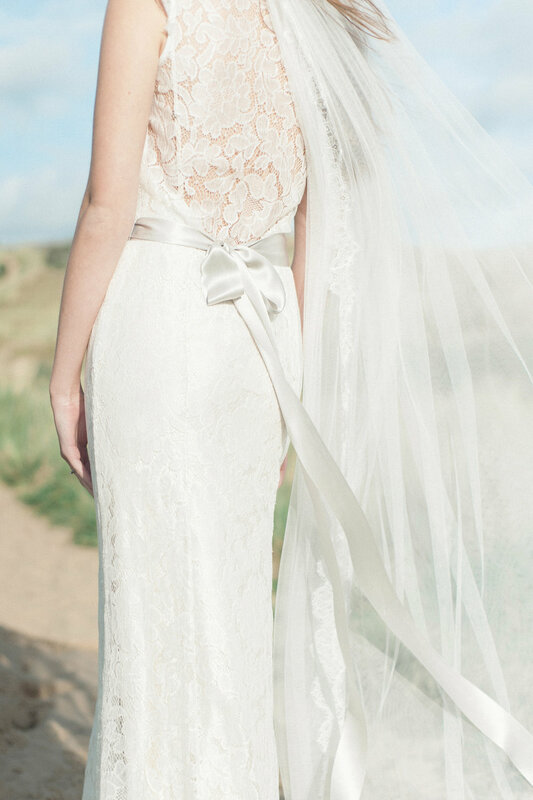 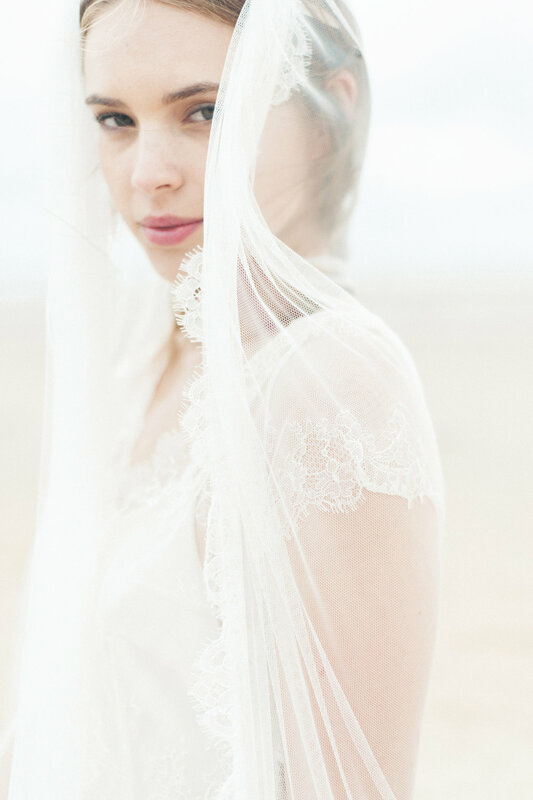 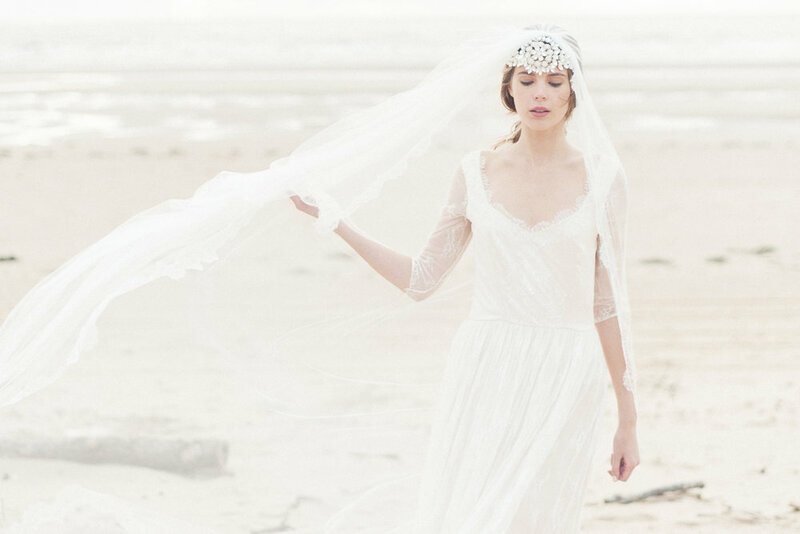 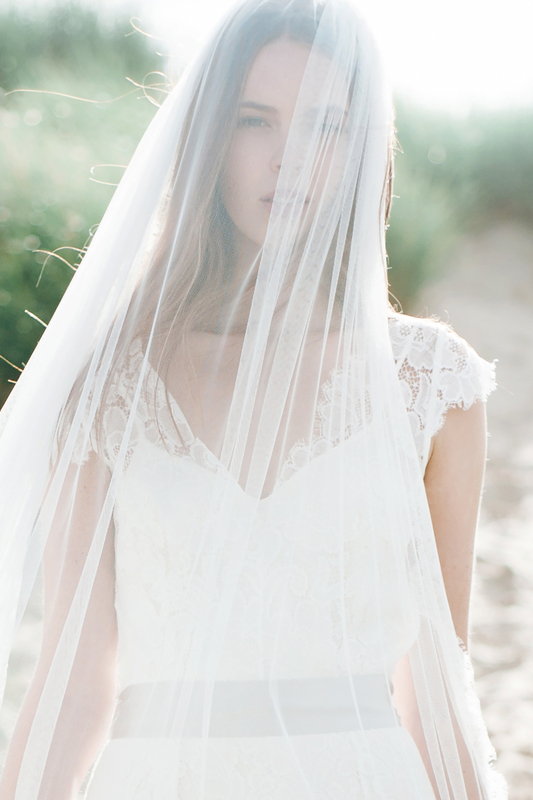 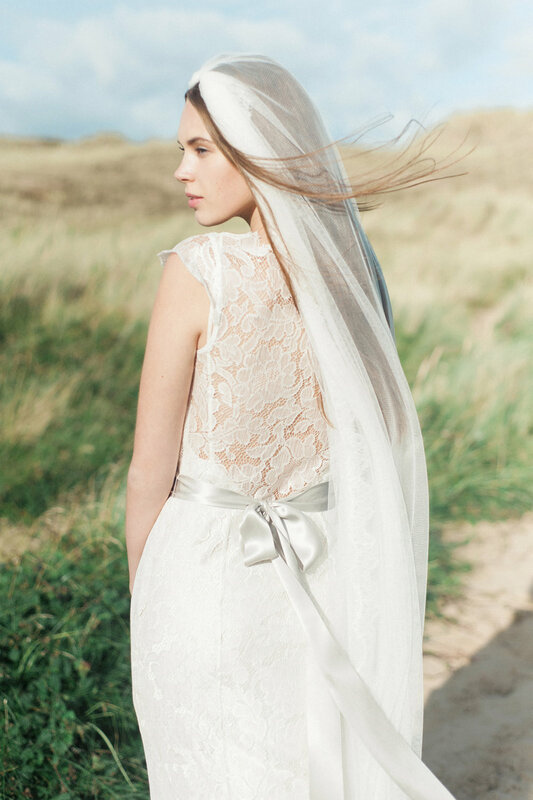 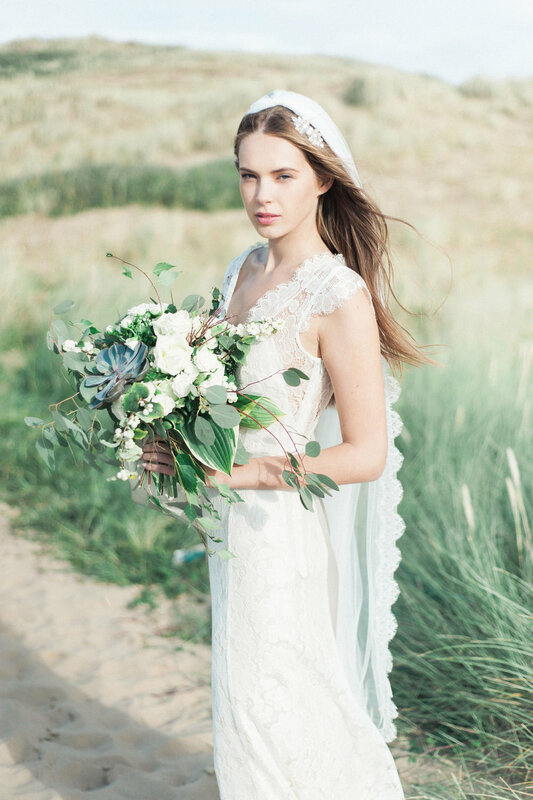 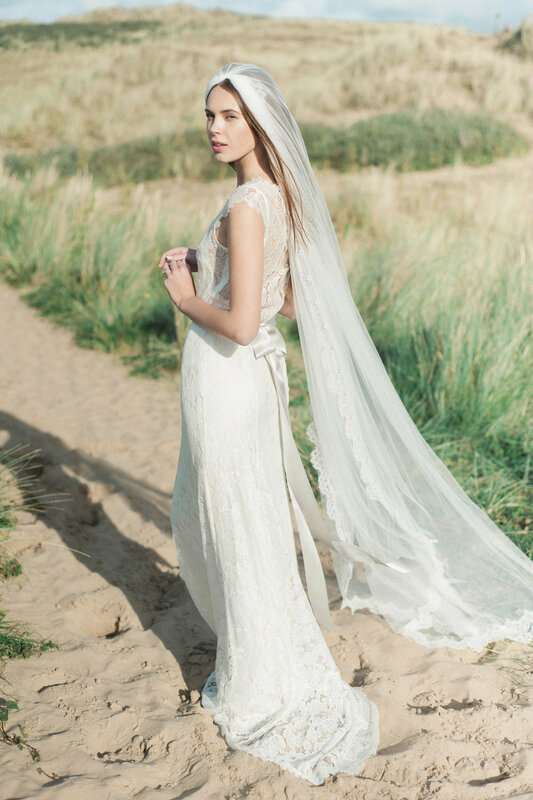 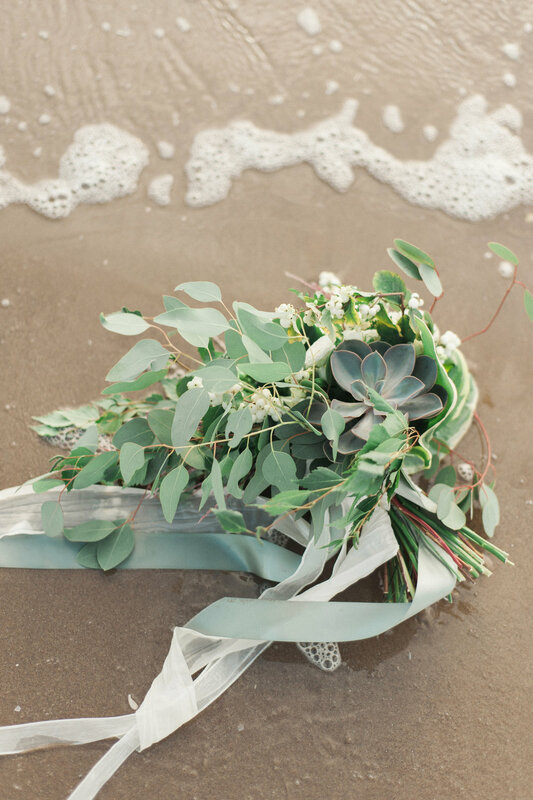 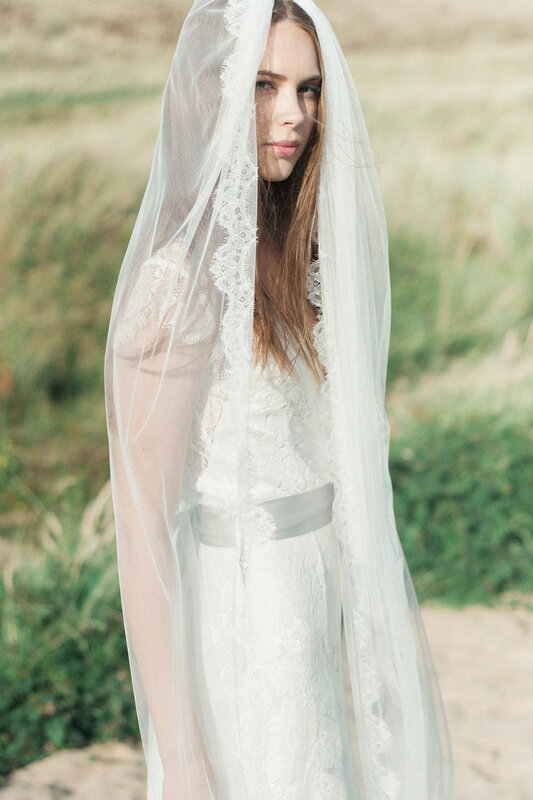 Inspired by the muted pastel tones of the sand dunes and sea, we chose some of the more delicate lace and blush silk coloured dresses from my collection – Lilac, Peony, Hollyhock, Anemone, Wild Lupin and Camellia – accessoried with some flowing veils from my studio, and a selection of gorgeous headpieces and jewellery by Debbie Carlisle. 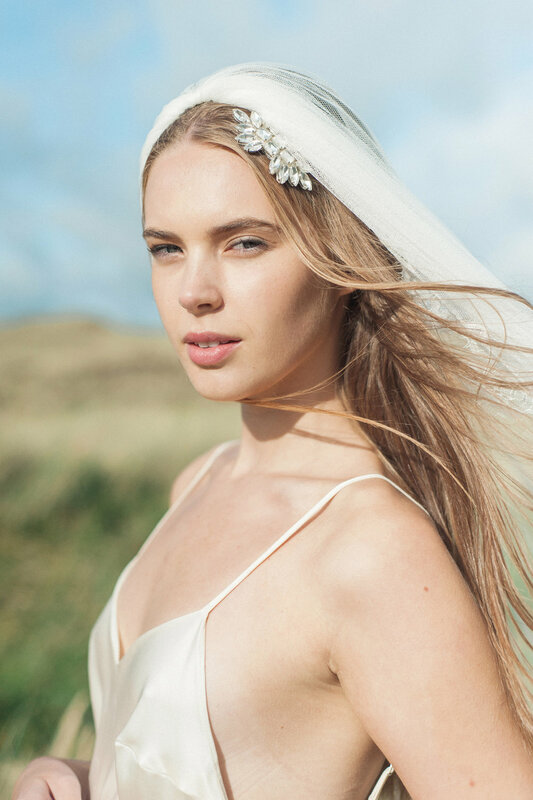 Hair and make-up artist Sarah Morten kept the styling super simple, and let the natural beauty of our stunning model Annabelle shine through. 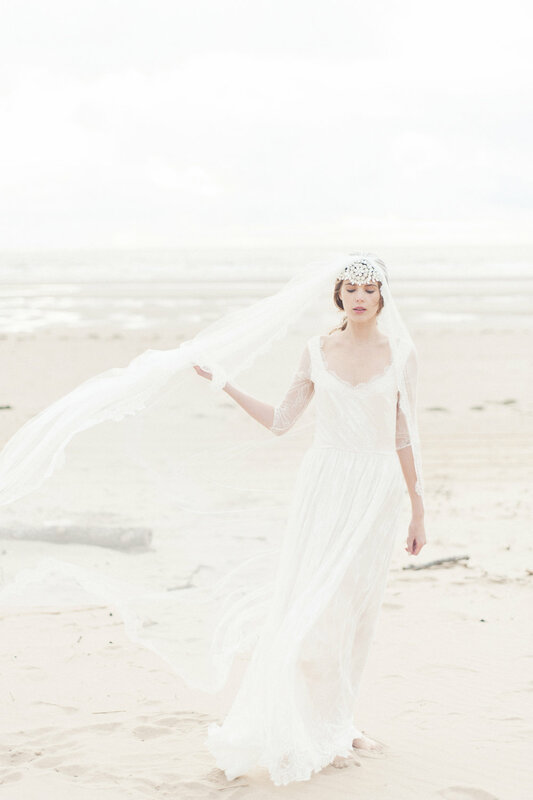 Emma’s background is in fashion photography and fine art, and she takes the most heavenly pictures. 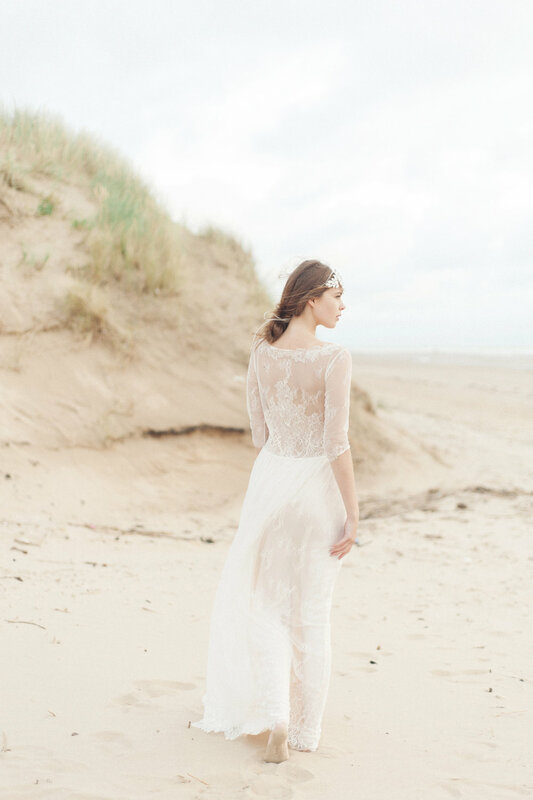 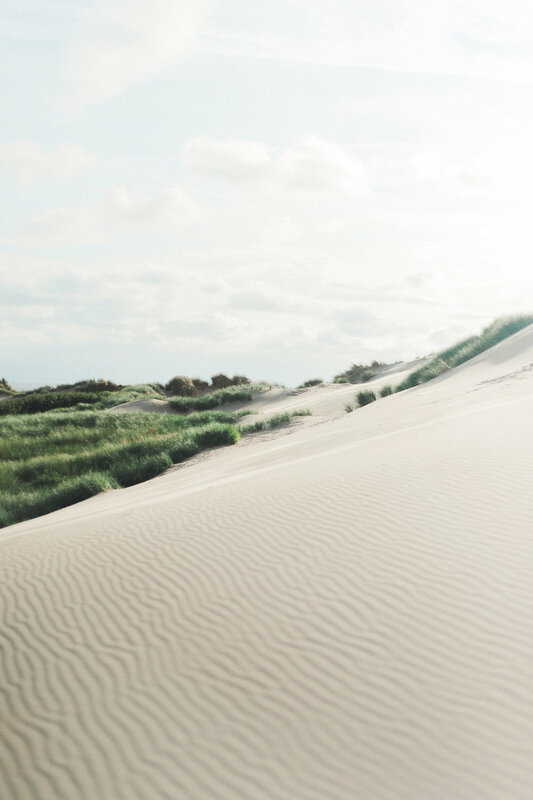 She’s just launched a brand new website focusing on her fine art wedding photography, and is offering 10% off all bookings made in October.